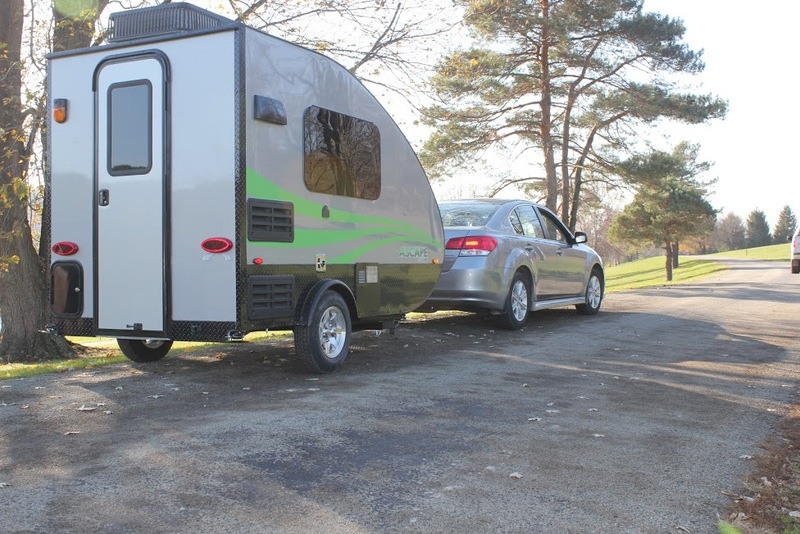 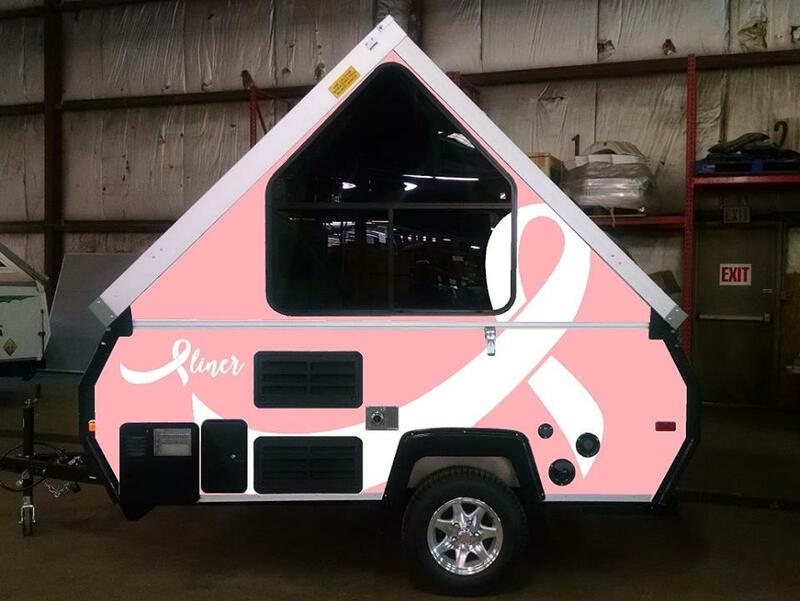 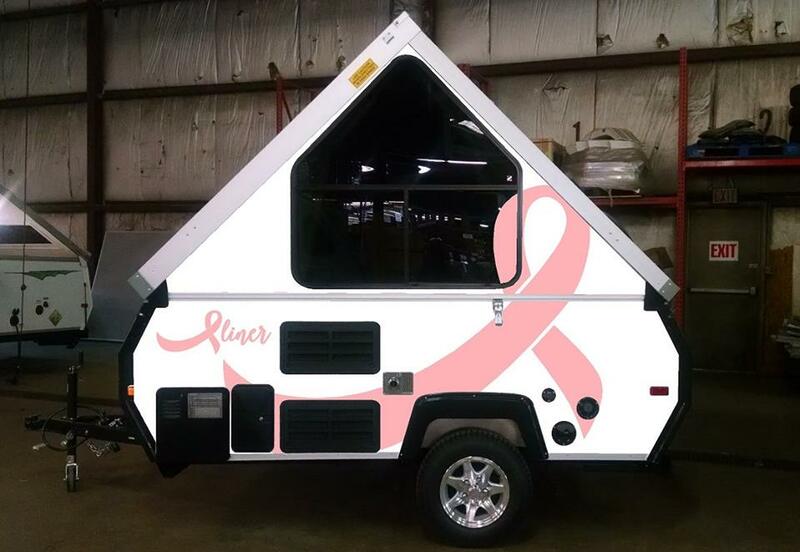 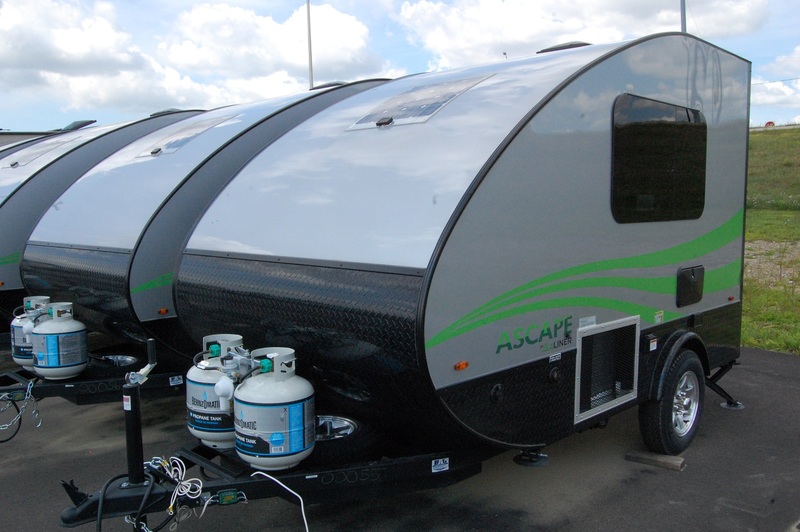 Known for 30 plus years as an A-frame fold down trailer company, Mount Pleasant, Pennsylvania based Aliner is set to bring to the small trailer market an unconventional (for Aliner) travel trailer called the Ascape in 2017. 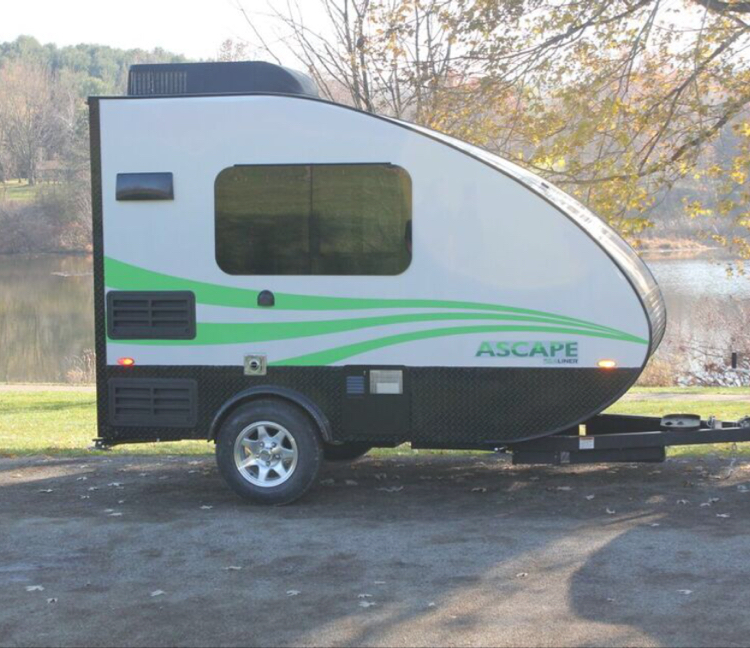 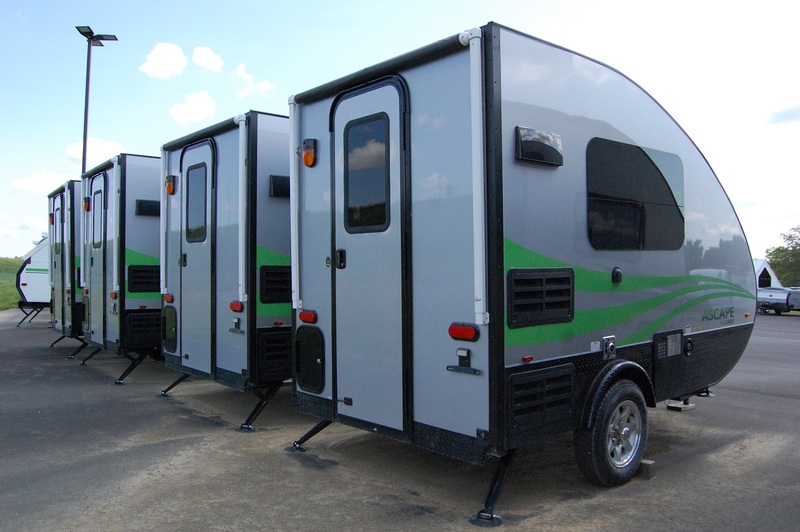 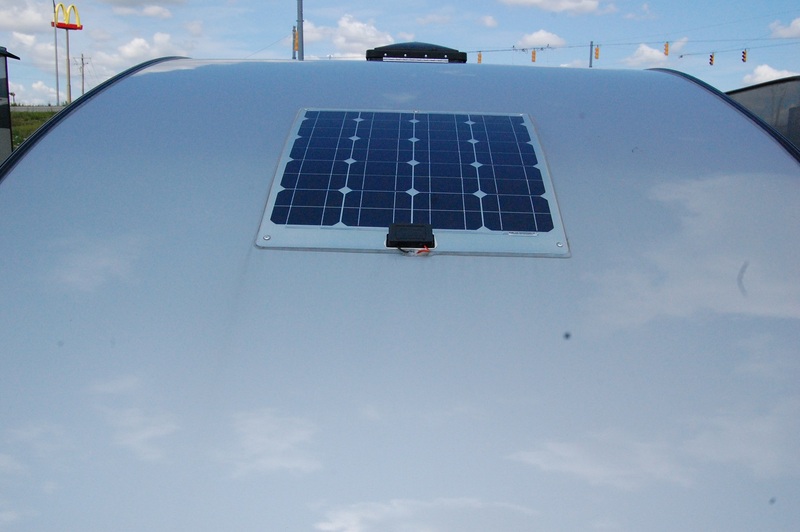 The Ascape is fairly unique for a trailer in its micro-trailer class, of which that class is rapidly expanding among manufacturers. 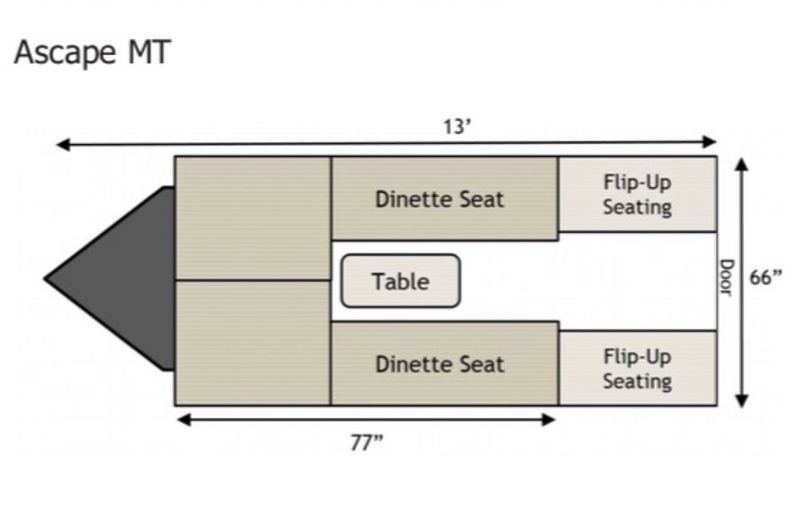 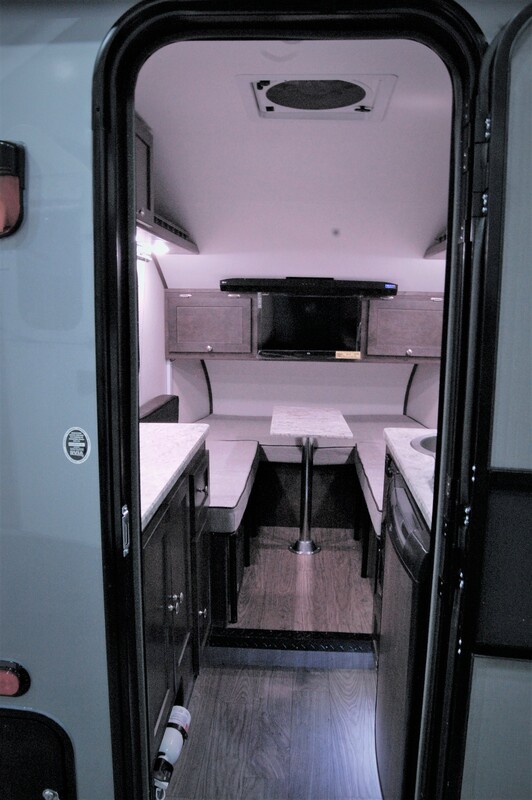 It has a seldom seen rear entry door, with a drop floor which allows just over 6 feet of headroom yet keeping the total exterior height at under 7 1/2 feet. 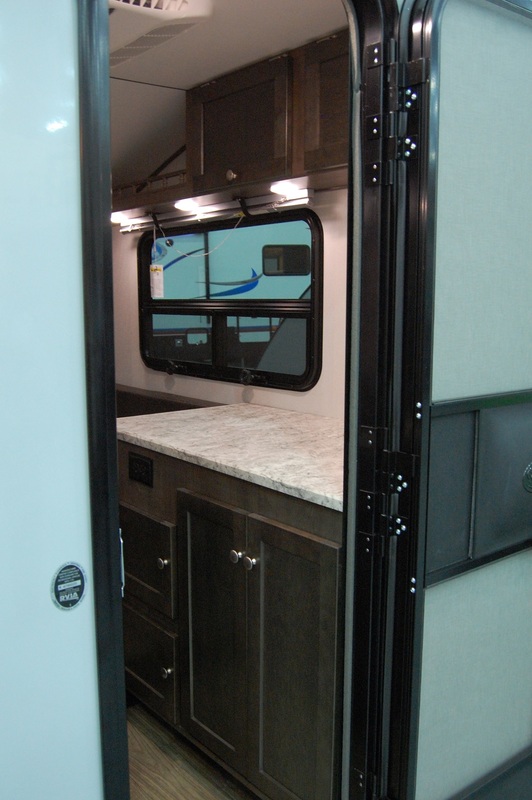 The walls are constructed with an .030 exterior aluminum skin and high-tech Azdel composites. 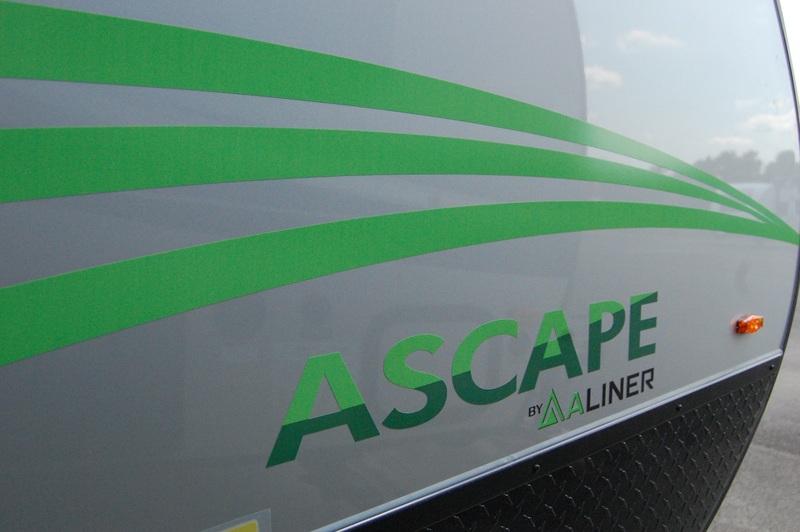 The Ascape measures in at 13 feet long and 1350 lbs. 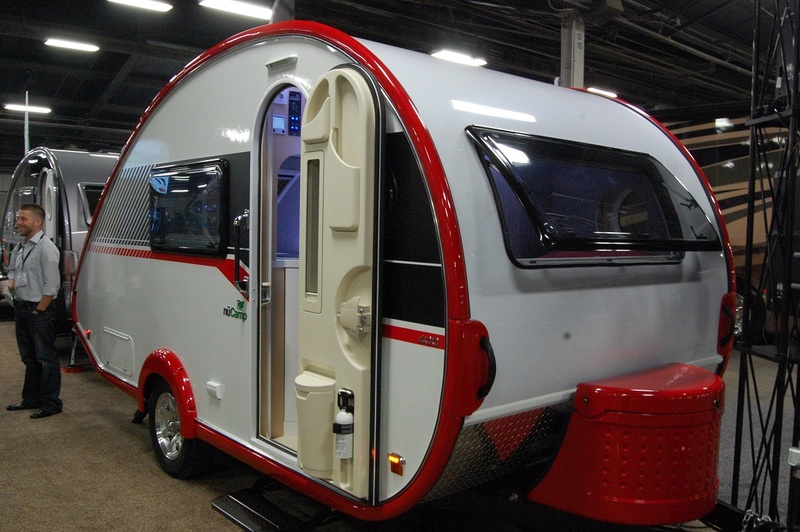 It will come in a basic and plus model. 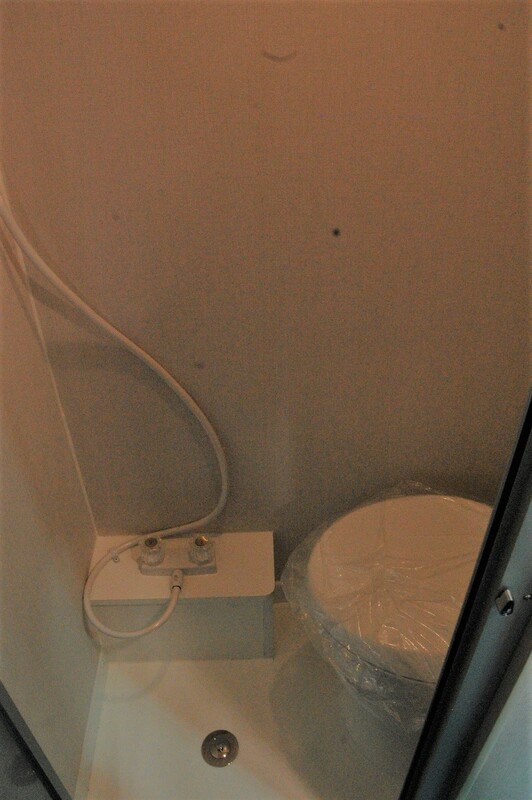 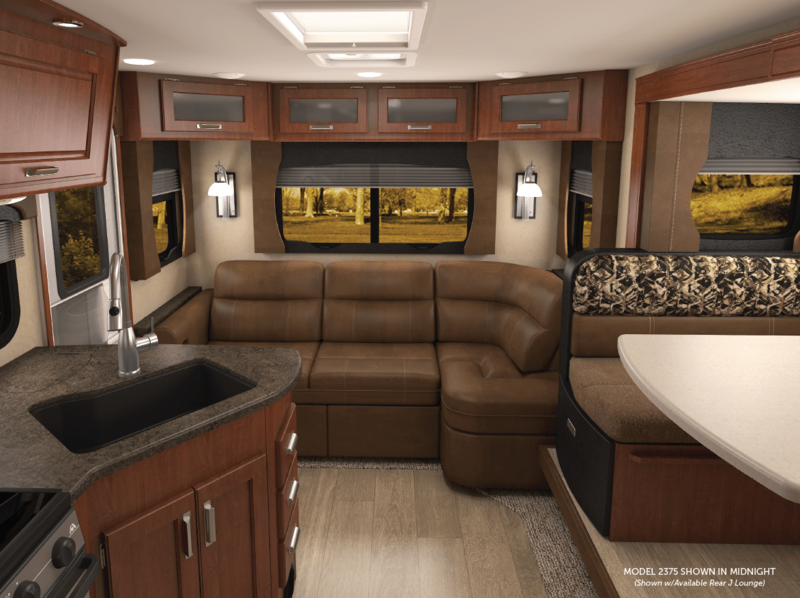 The plus model will include a potty, A/C, audio/visual package and exterior awning. 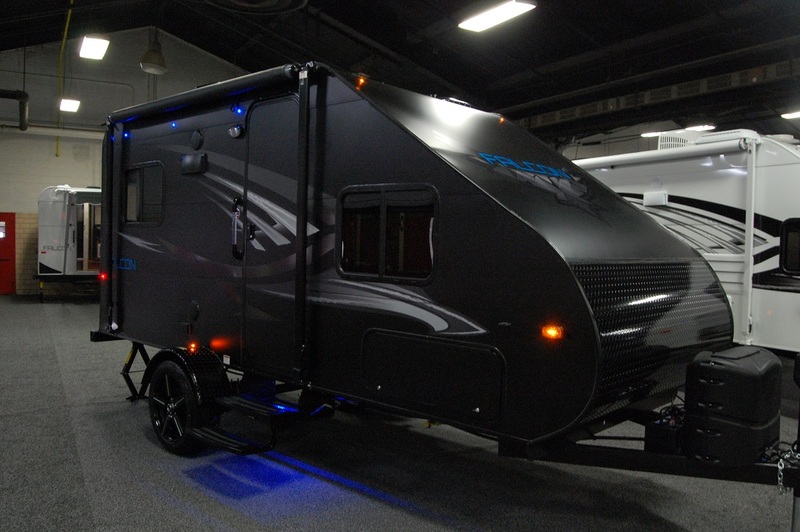 As of this writing, the MSRP is to be determined, and other specs, such as tank sizes, are not yet available. 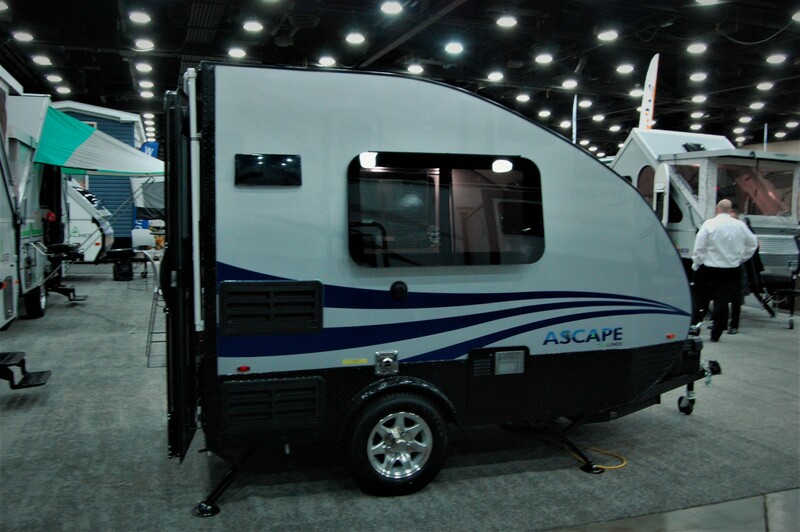 The Ascape will debut next week at the national RVIA trade show in Louisville, which I’ll be attending. 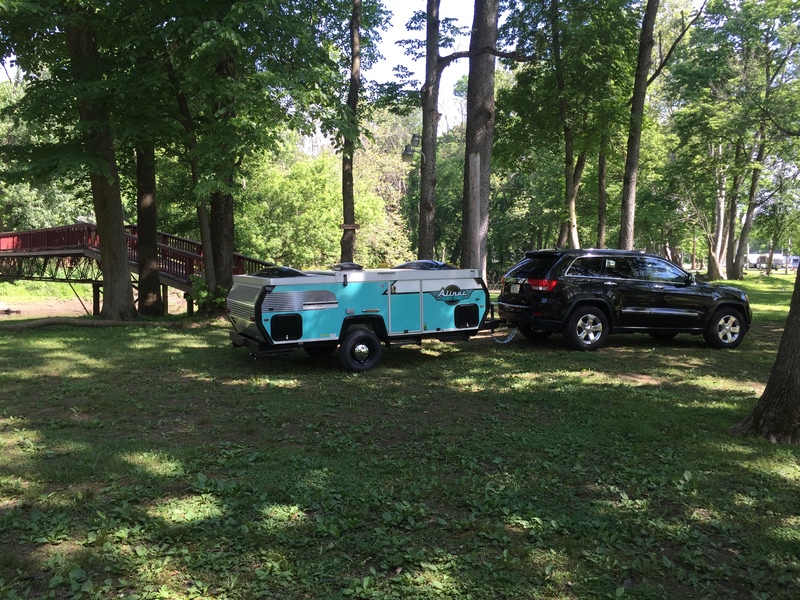 I’ll be sure to give it a look and let you know my thoughts. 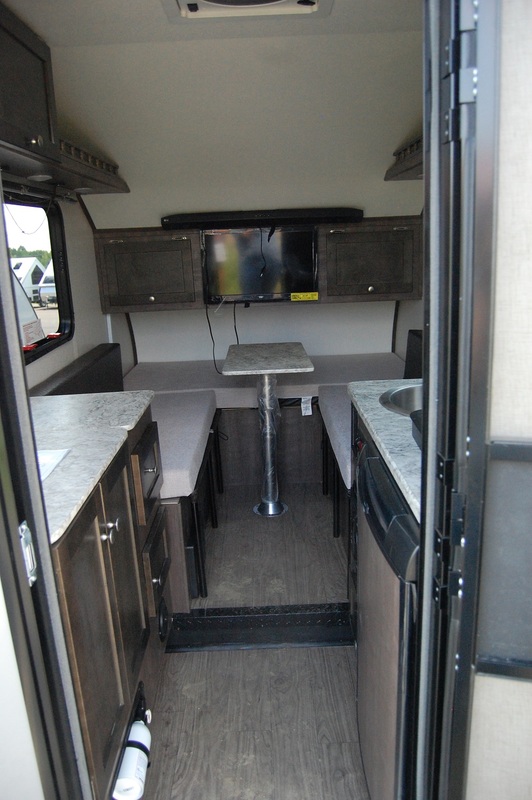 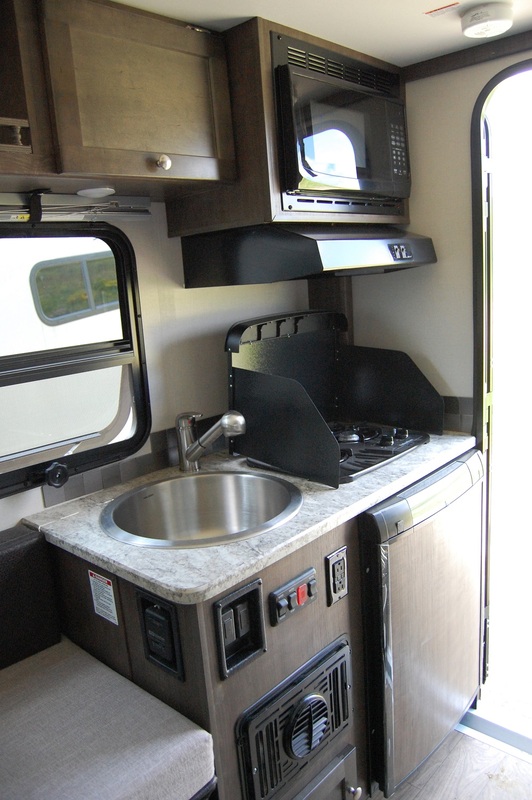 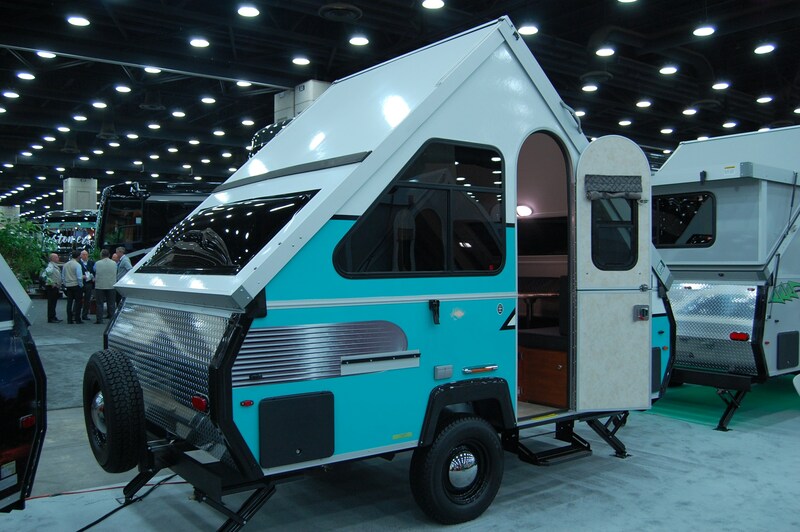 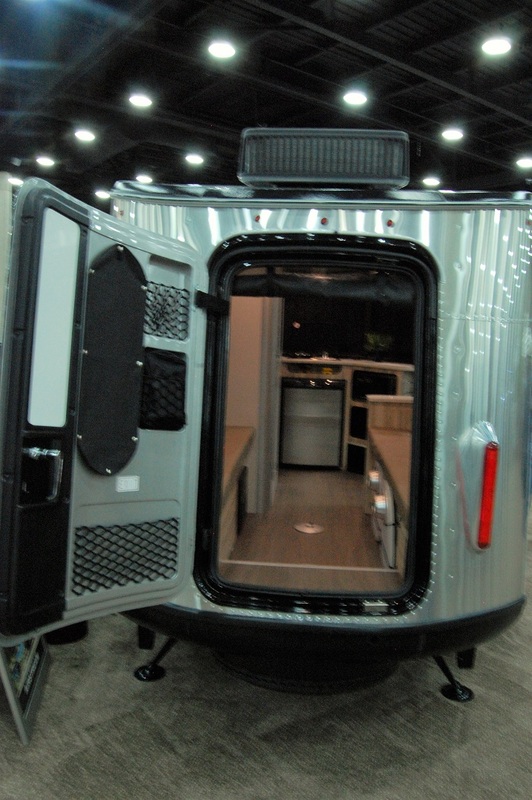 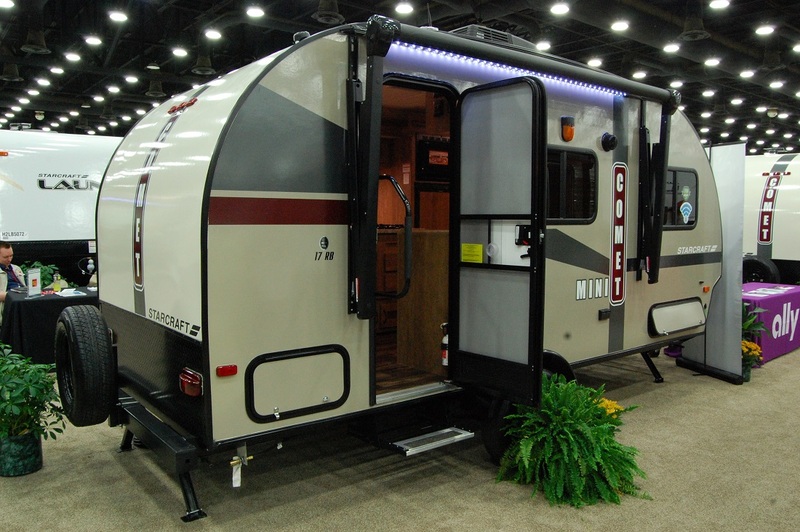 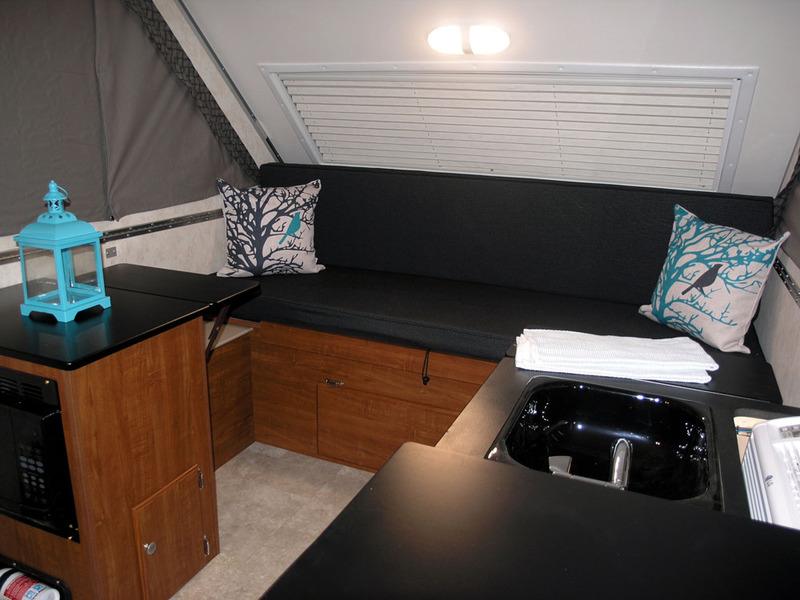 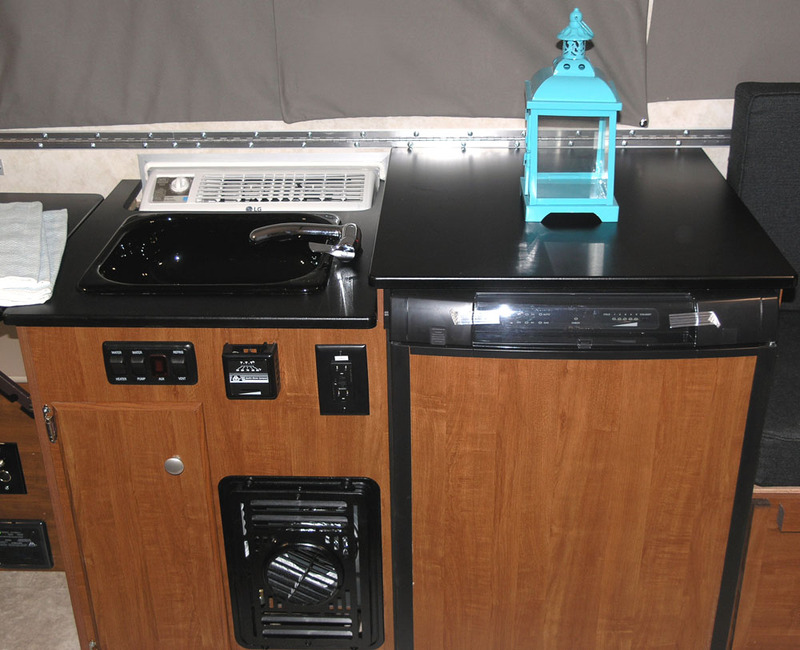 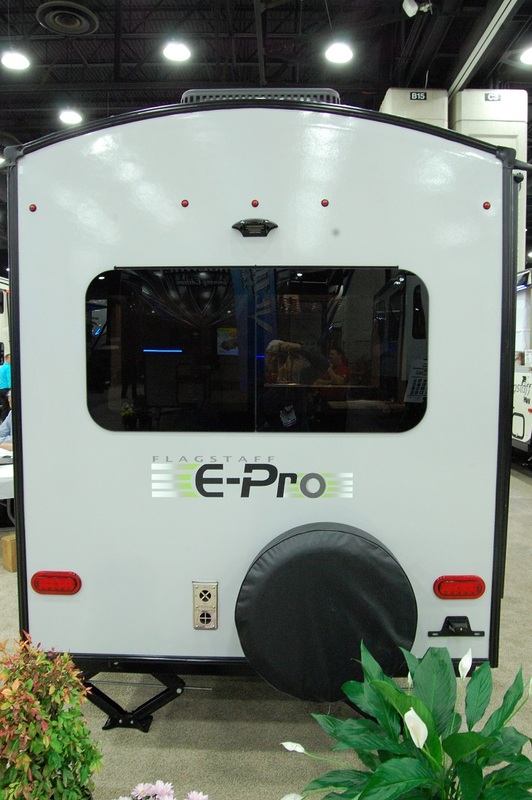 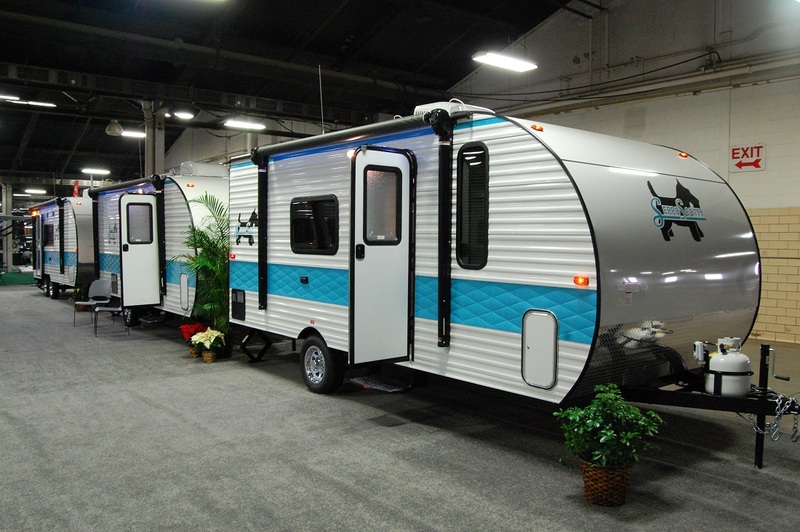 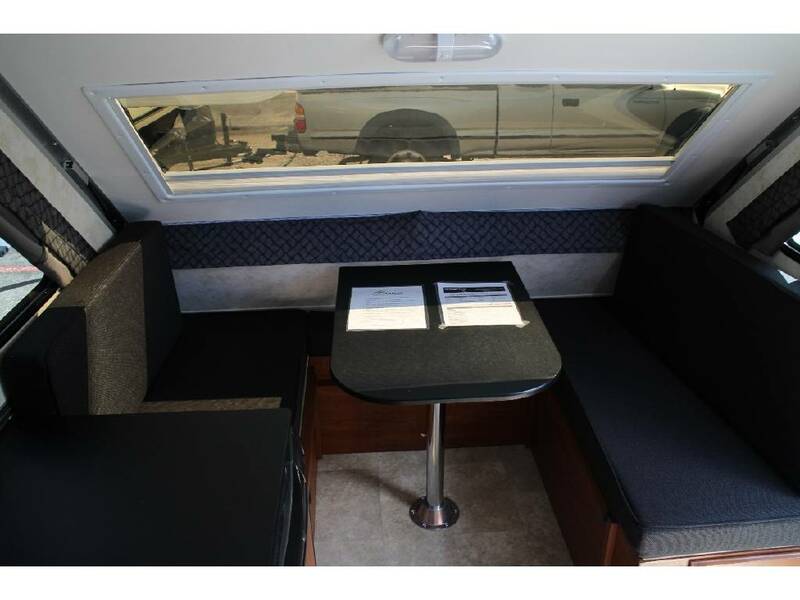 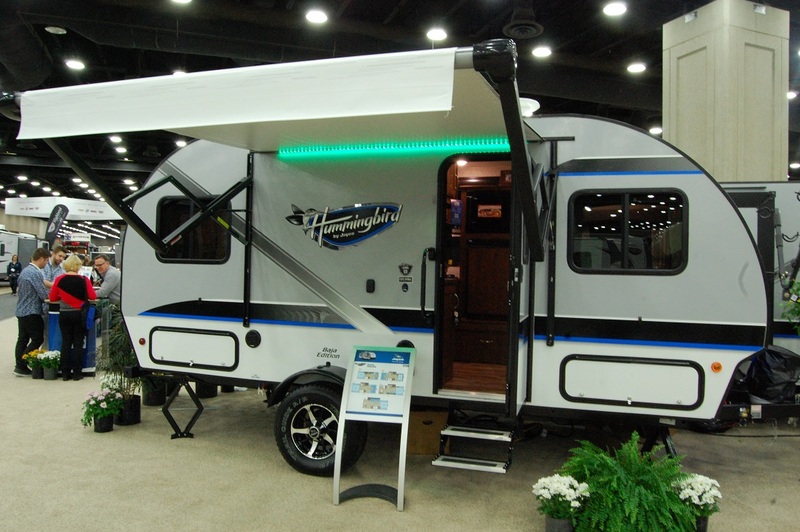 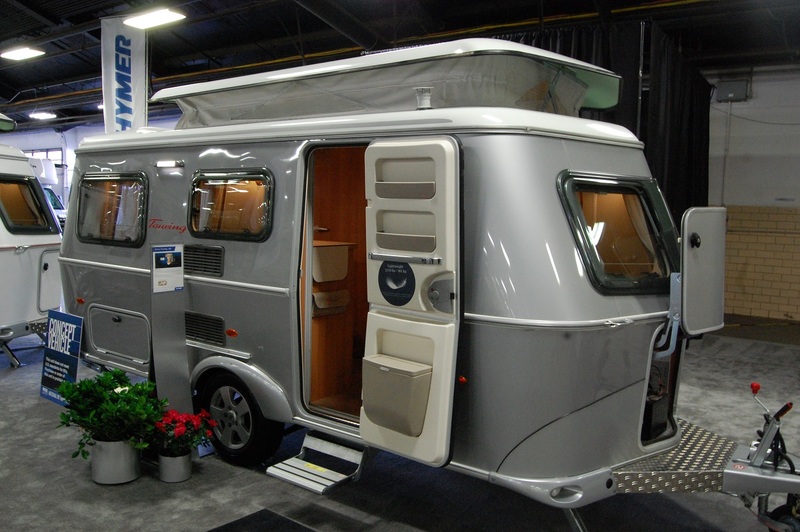 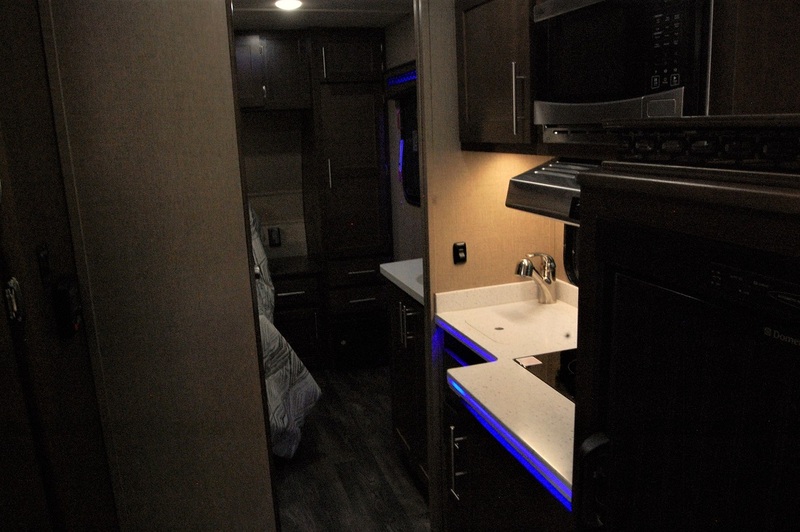 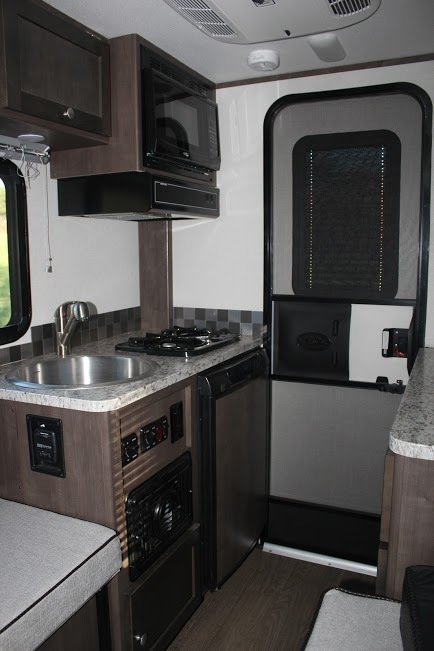 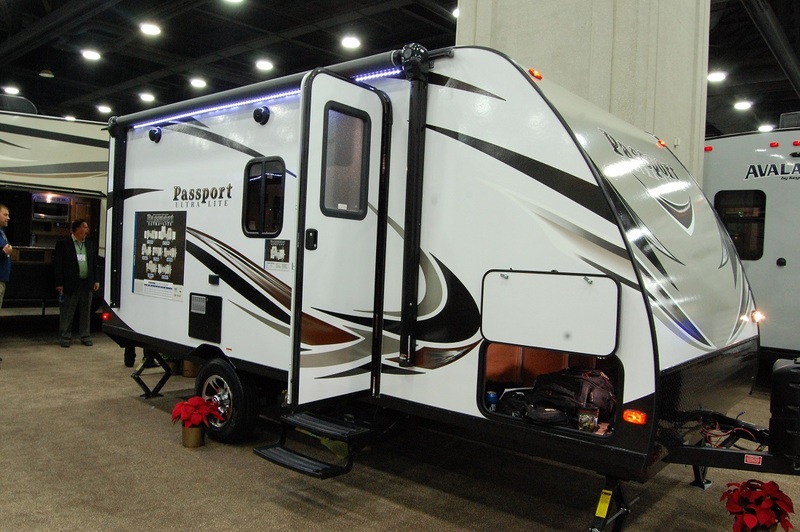 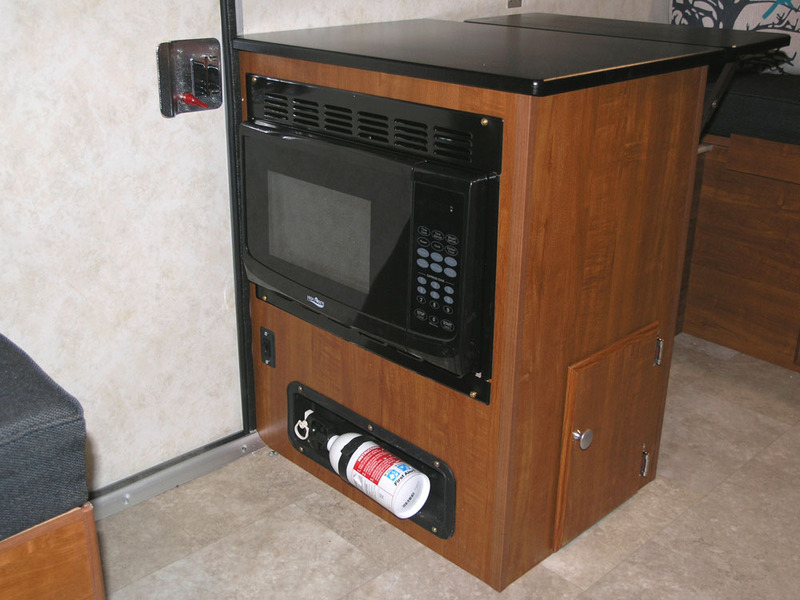 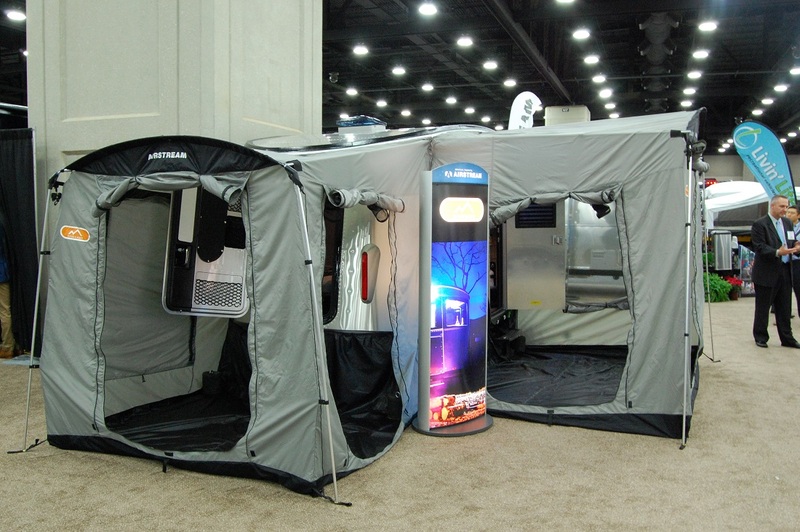 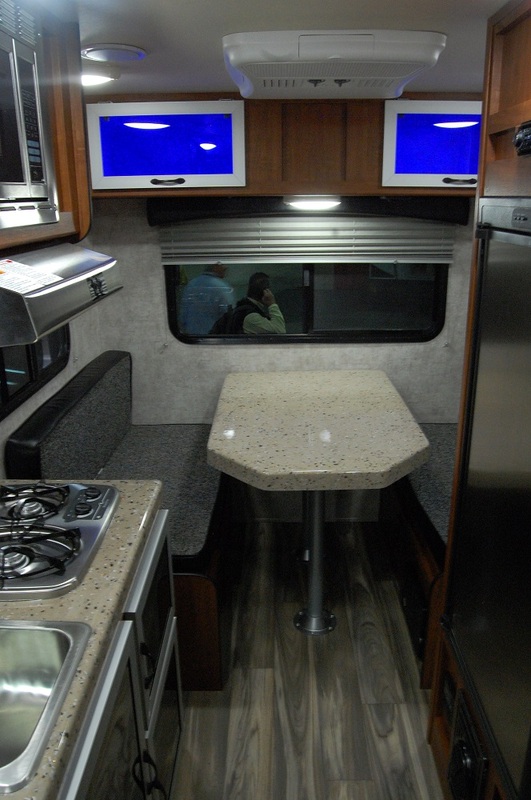 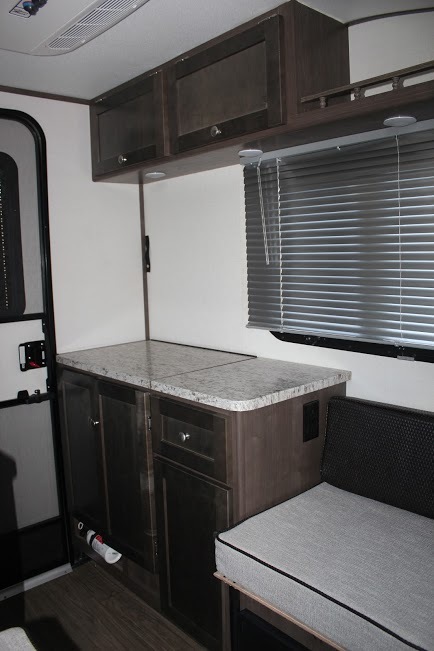 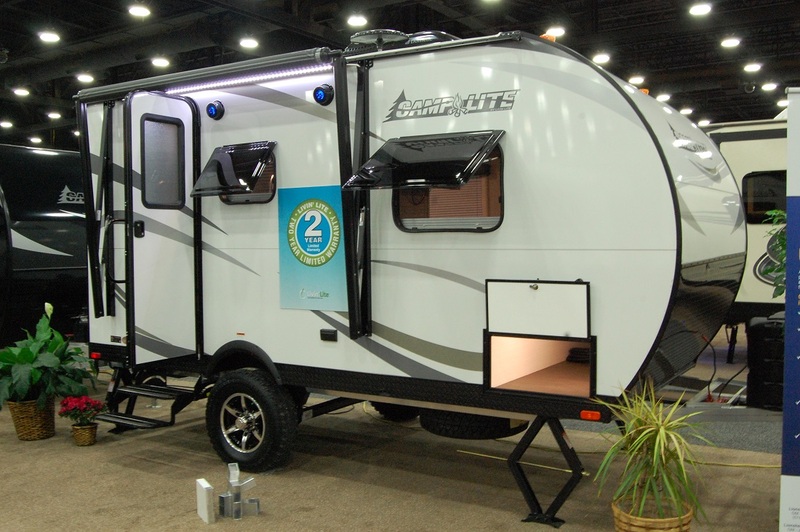 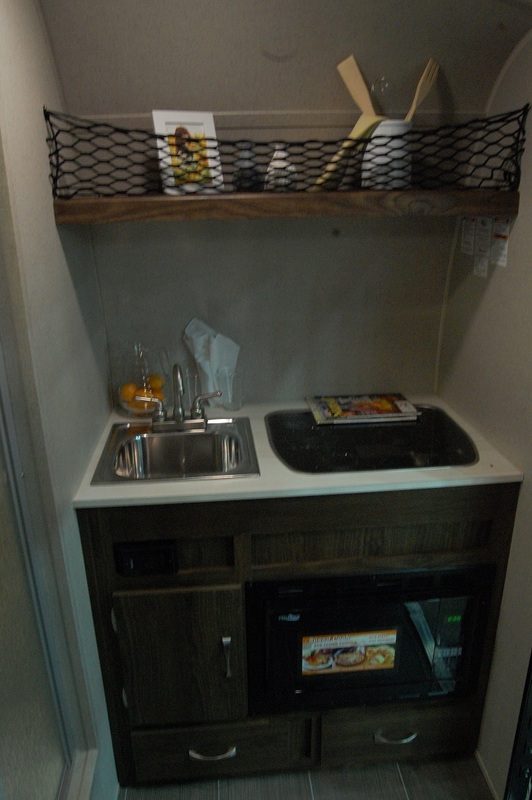 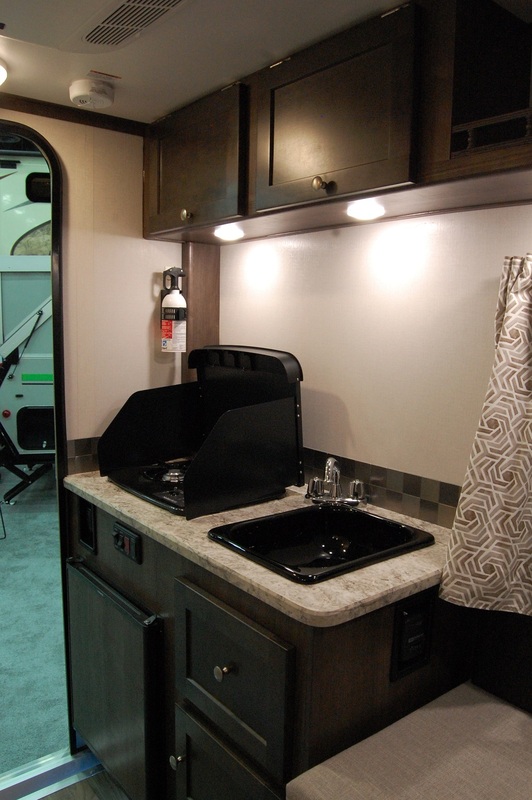 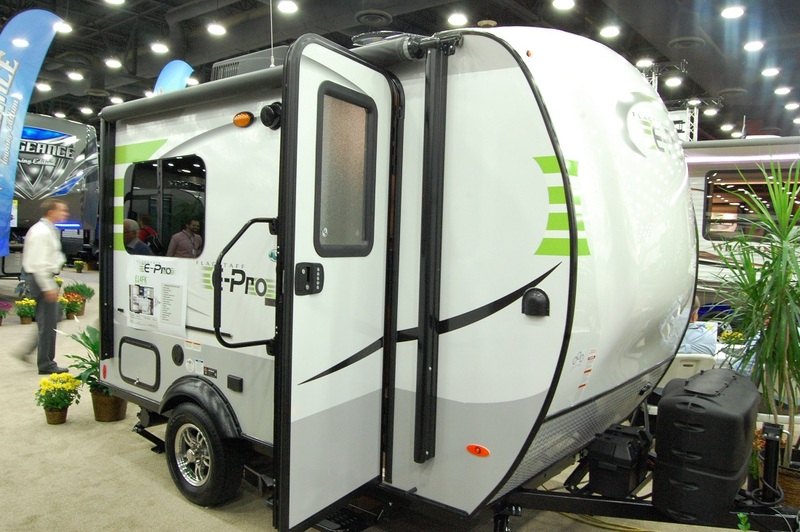 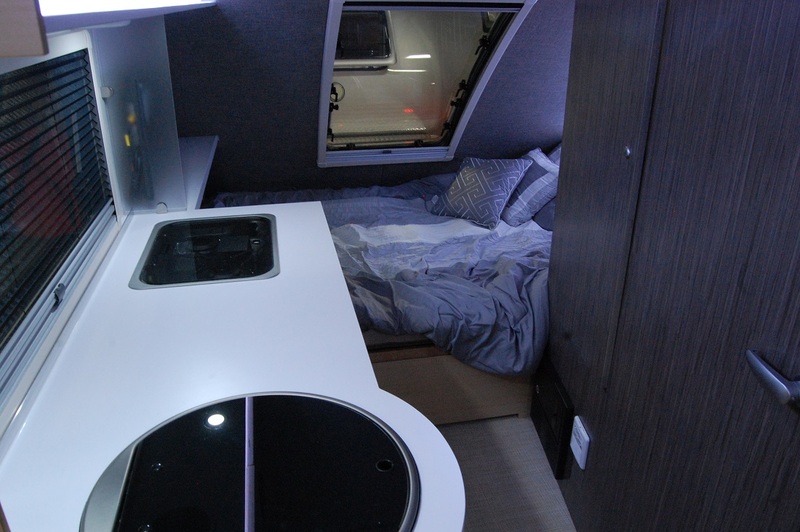 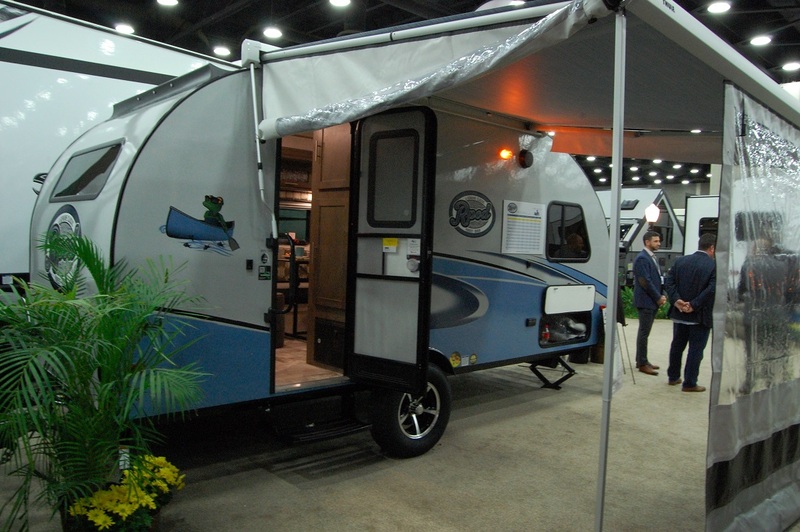 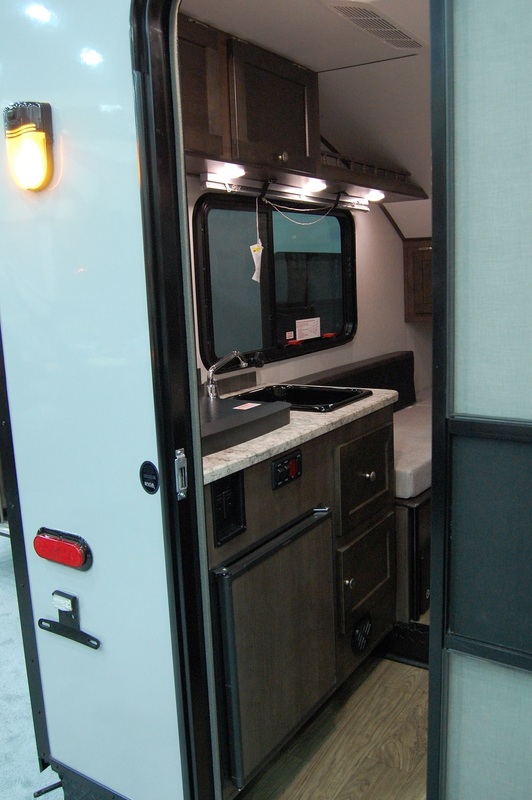 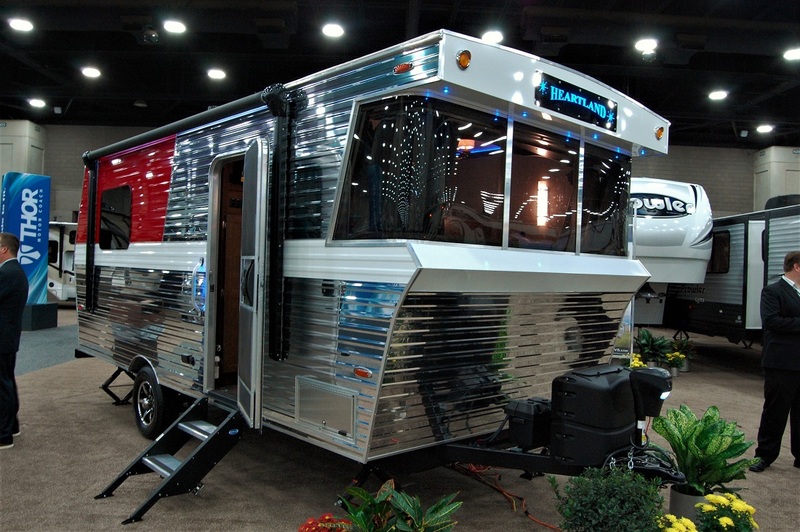 When the 2016 Aliner Limited Edition was unveiled at the Louisville RVIA trade show last December, it was an addition to the ever growing retro trailer segment of the RV industry that seemed to come out of left field. 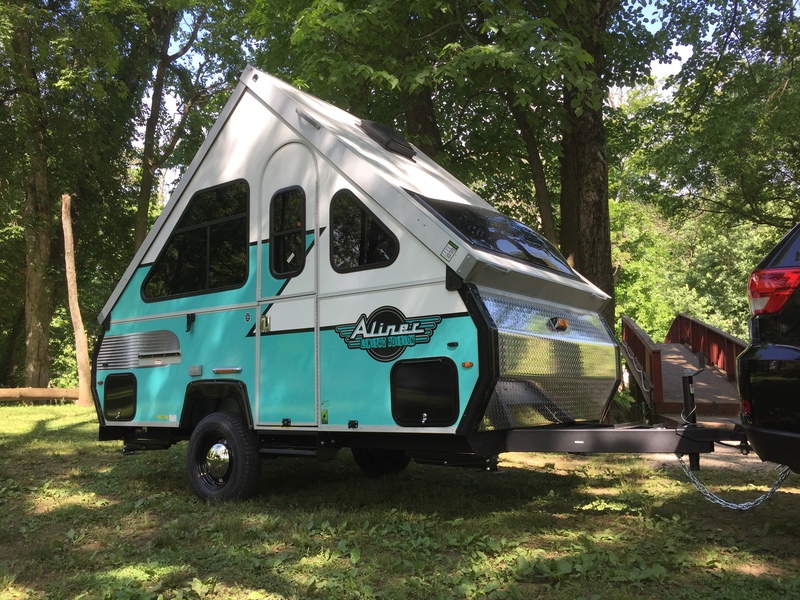 After all, the A-frame pop up company didn’t come into existence until 1984, well after the era of canned ham trailers that the recent wave of reproductions has meant to mimic. 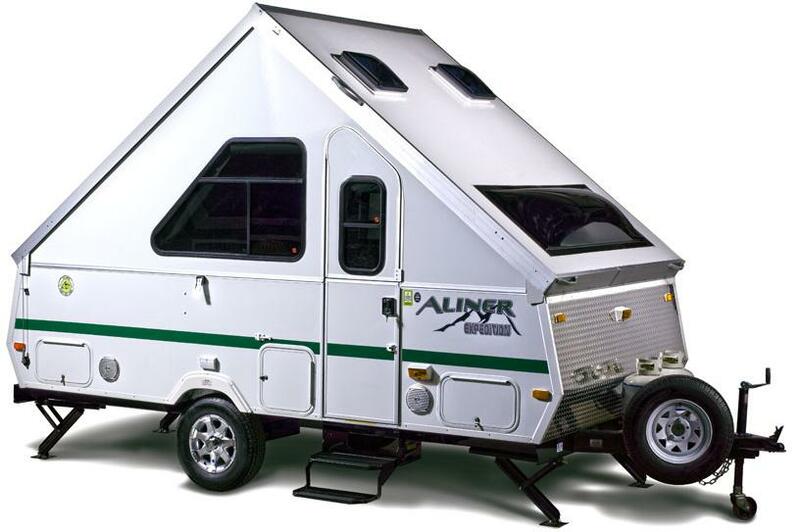 Mount Pleasant, Pennsylvania’s Aliner has committed to building 84 Limited Editions, which commemorates when they went into business in 1984. 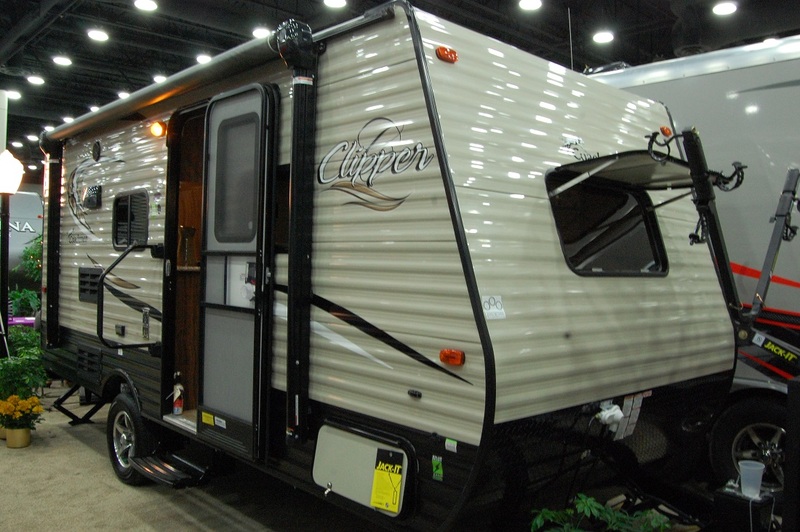 It’s based on an Aliner Classic, with a few standards that are options on a standard Classic. 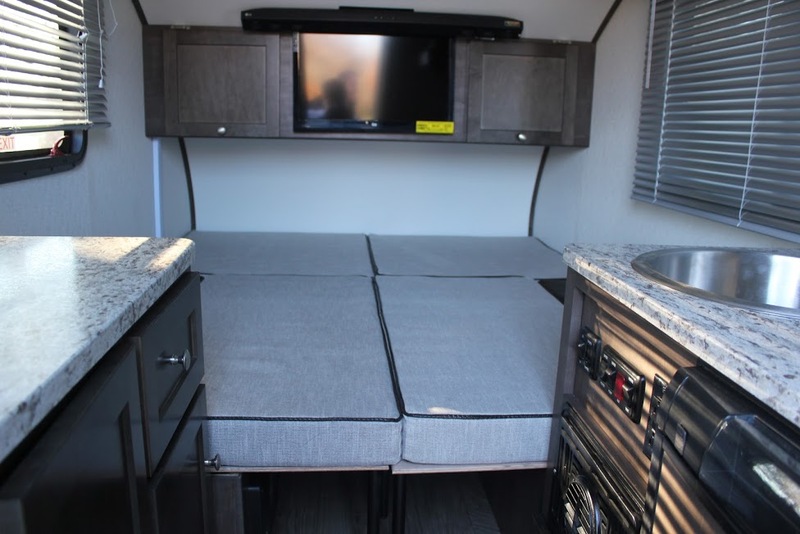 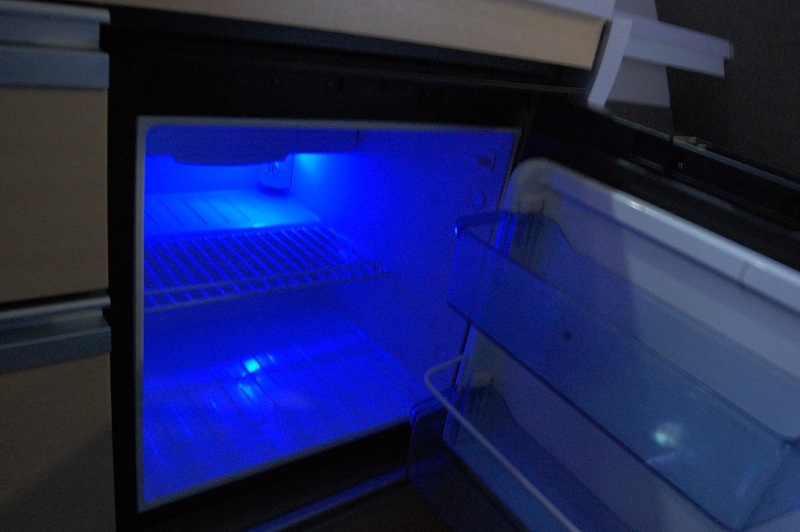 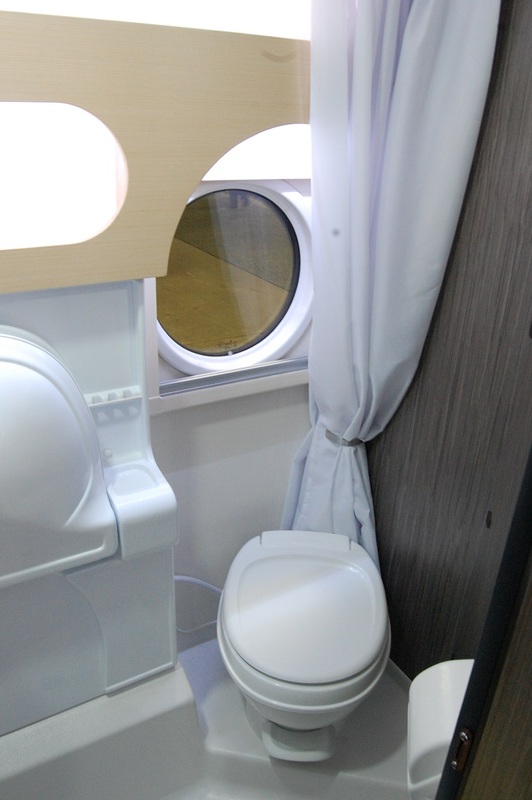 Some of the standard features on the Limited Edition include chrome baby moon hubcaps on 14″ rims, a retro graphics package, a 5,000 BTU air conditioner, a rear sofa that converts to a 60″ x 76″ bed, a front dinette that converts to a 40″ x 76″ bed, a 3.0 cubic foot refrigerator, microwave, a DSI water heater, LED exterior lighting, an exterior shower, and an off-road package. 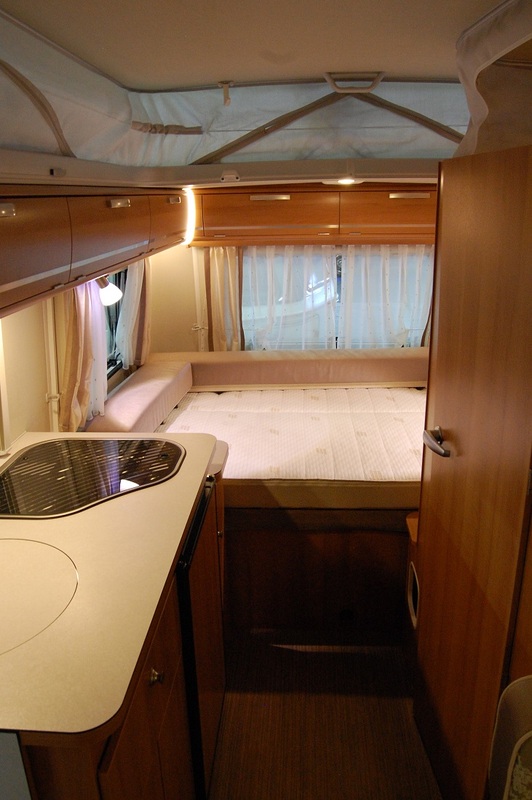 As for the specifications, the Aliner Limited Edition has a box length of 12′, total length of 15′, and a width of 78″. 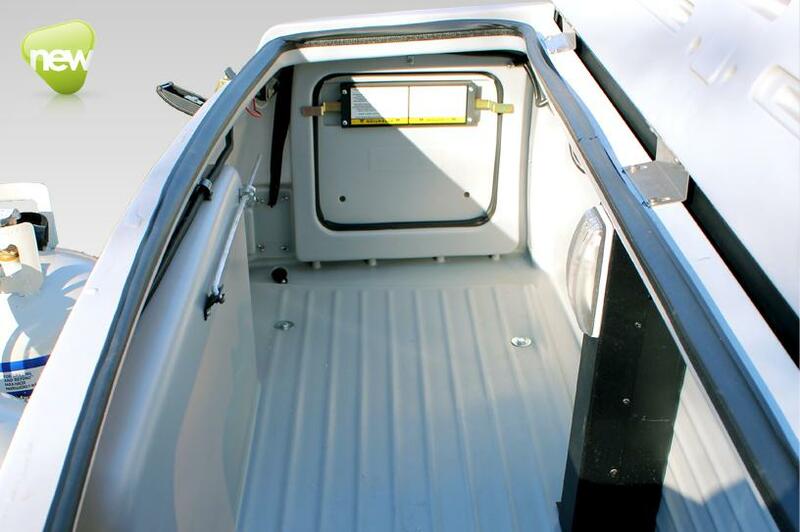 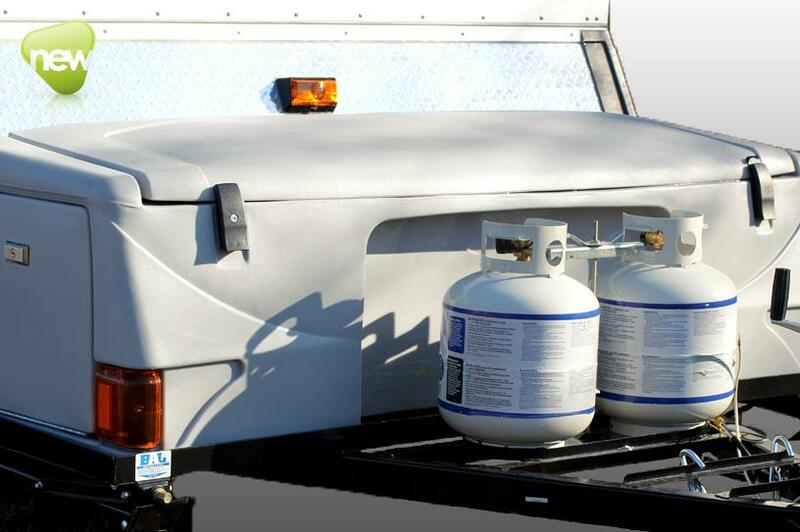 The gross vehicular weight rating is 3,000 lbs and the unloaded weight is 1635 lbs. 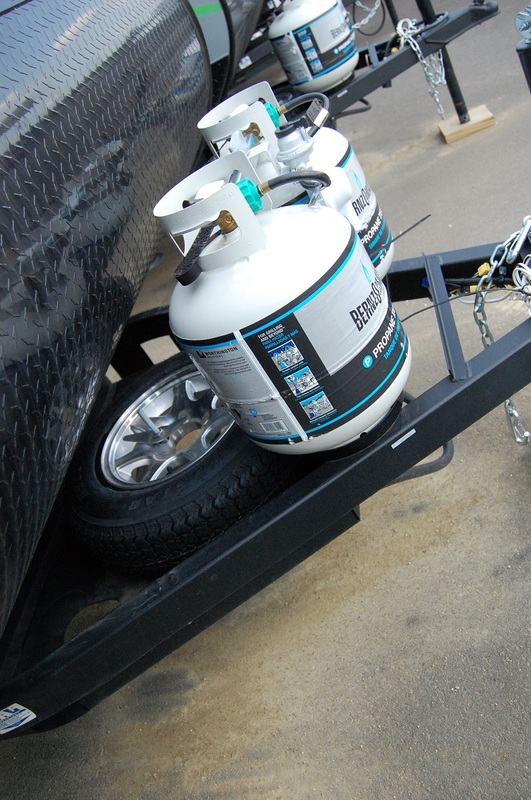 The tongue weight is 190 lbs and the maximum carrying capacity is a generous 1365 lbs. 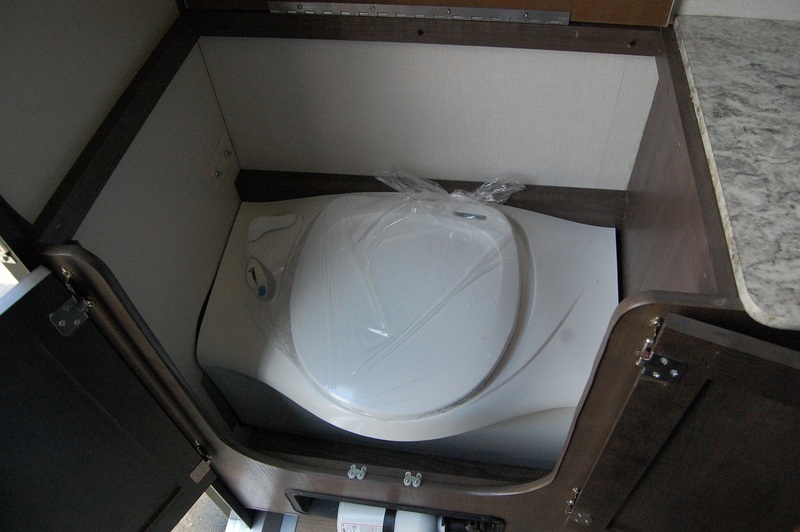 The Limited Edition also comes with a special 2 year warranty. 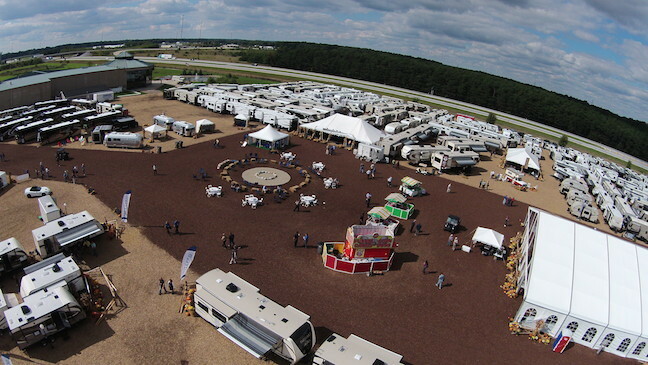 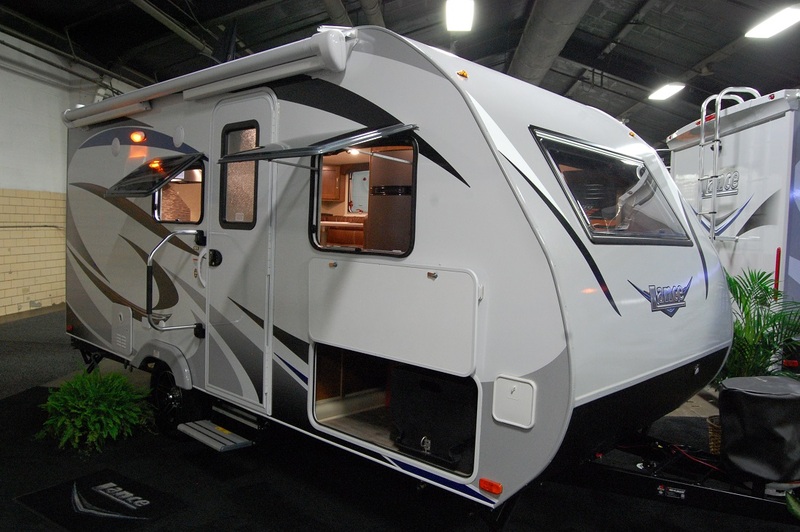 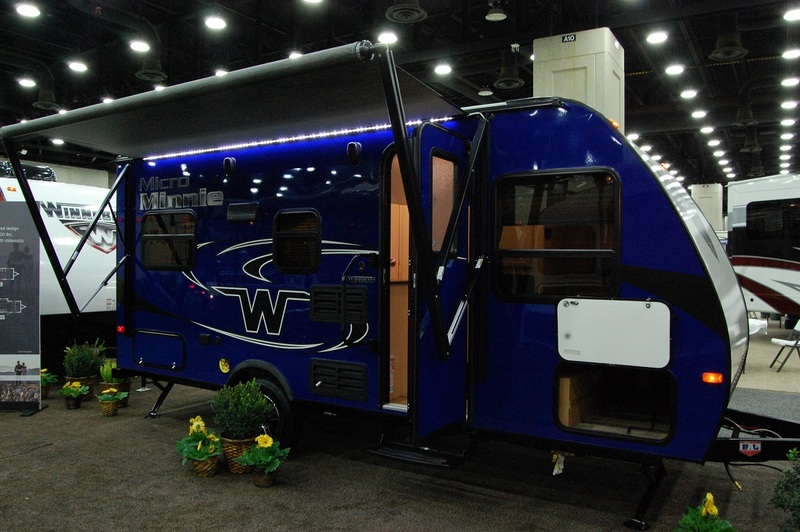 Recently, Aliner dealer Mount Comfort RV received one of the 84 Limited Editions on their lot in Greenfield, Indiana. 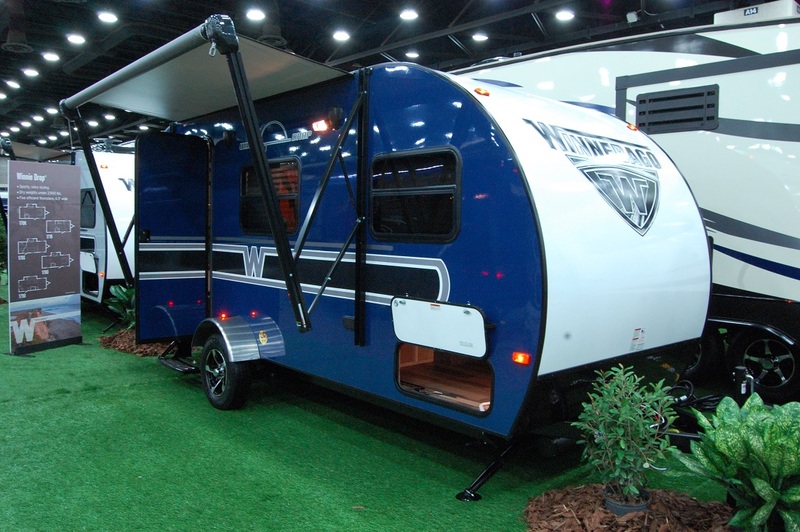 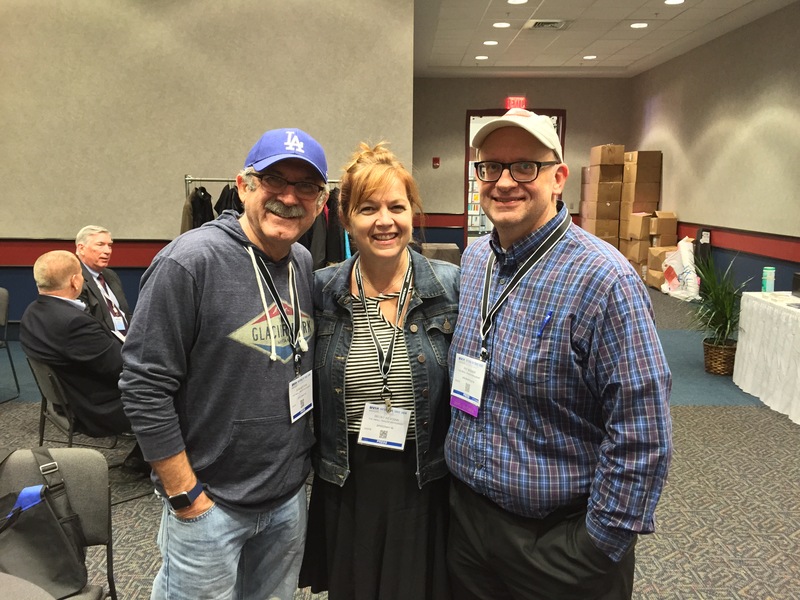 They put together a really nice walk through video of the Limited Edition Aliner with President Rusty Eckstein. 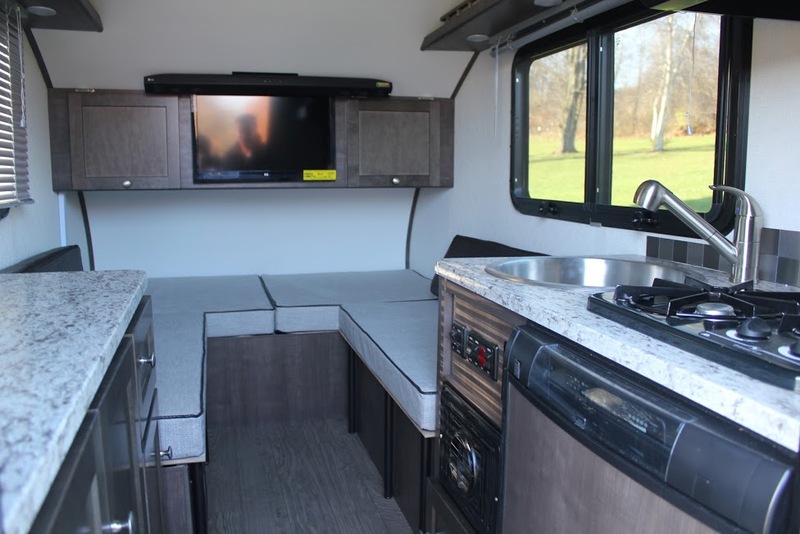 Rusty tells me the video has received nearly 3,000 views in just a week, so that’s a pretty strong statement as to the interest it’s drawn with potential buyers.